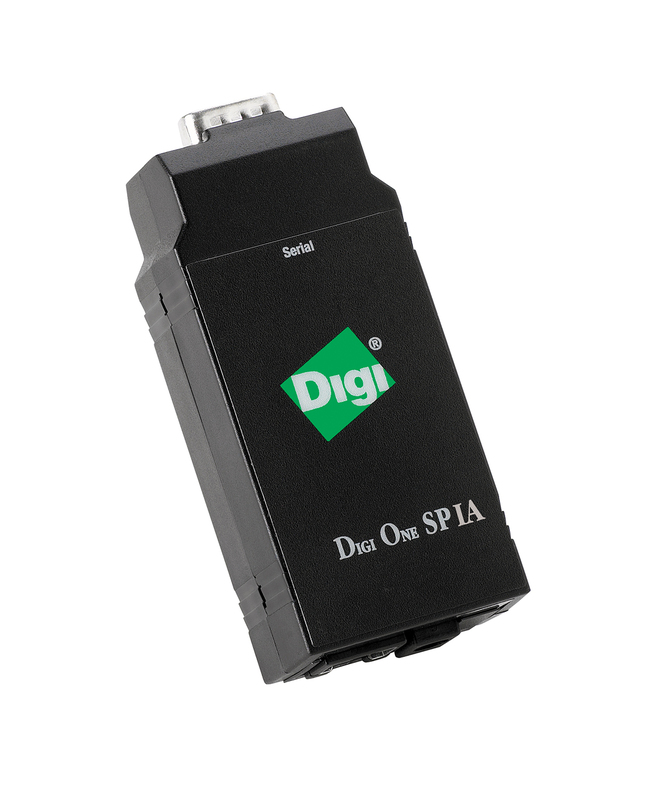 Produktinformationen "DIGI ONE SP IA"
Digi One SP IA is a compact serial server providing entry level serial-to-Ethernet connectivity for virtually any industrial device. It features one RS-232/422/485 DB-9 serial port, 9-30 VDC input and DIN rail kit. Digi One SP IA provides a reliable interface to OPC servers or to other IA equipment such as barcode readers, scales or temperature sensors. Digi One SP IA supports most IA protocols through TCP/UDP connections, serial bridging or COM port redirection using Digi’s patented RealPort® software. RealPort enables existing applications to communicate, without modification, with serial devices over the Ethernet as if they were communicating over a serial cable. 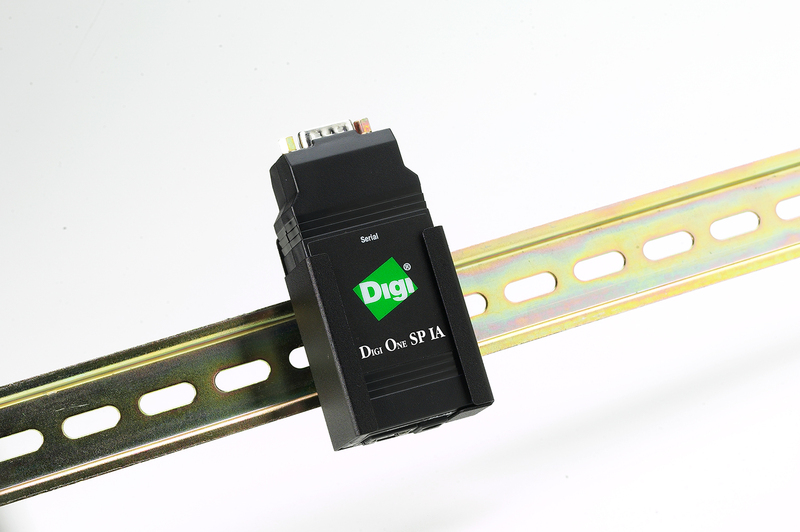 Digi One SP IA is easy to install locally or remotely. The IP address can be configured using DHCP, ARP-Ping or Setup, an application included with the installation CD that automatically detects all Digi One devices on the network. Using the web interface, users can configure advanced functions into their application. – 9-30 VDC power with bare-wire “pigtail” included. Weiterführende Links zu "DIGI ONE SP IA"
Kundenbewertungen für "DIGI ONE SP IA"